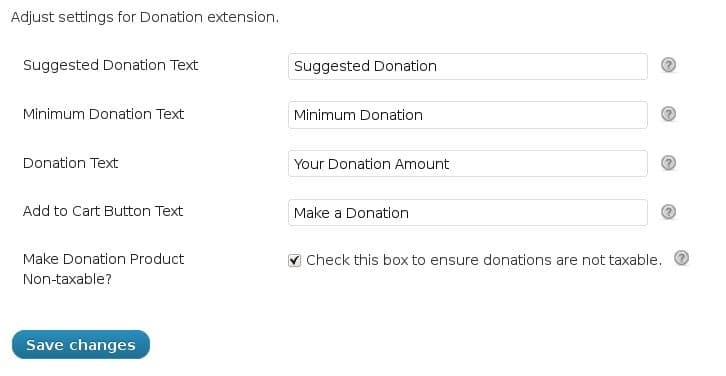 Need to collect donations with WooCommerce? WooCommerce Donations lets you accept donations via your online store. Accept funds using any of over 150 payment gateways available for WooCommerce. Define custom labels and text for the product page. Includes a widget to show donations by year, month, week, or all time. This plugin is compatible with WooCommerce 2.0 and newer. Comes with our excellent support via email and phone. Questions? Call us or use the contact form to send your request. Tweaked settings link shown on the WordPress Plugins page.